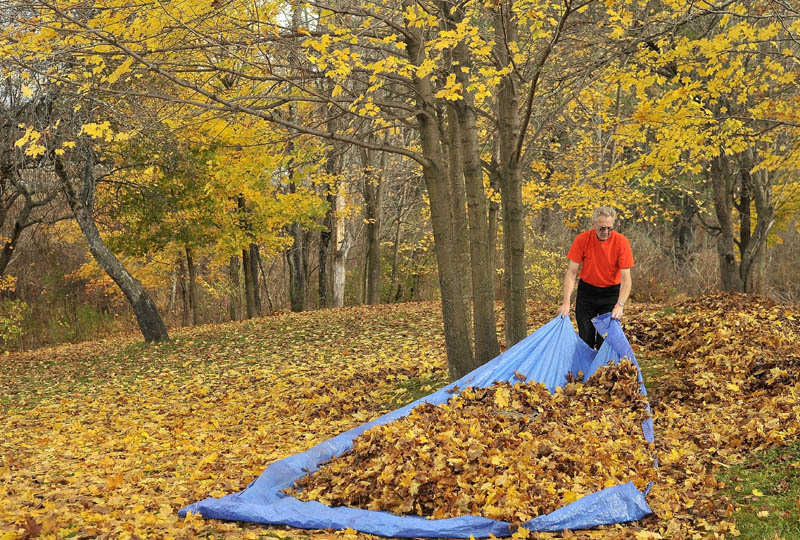 Maynard Weeks, 74, clears his property of leaves on West River Road in Waterville Friday. Weeks tackles the yard work every weekend until all of the leaves have shed the tree. He says chopping wood and raking his yard keeps him young and busy.Maynard Weeks, 74, clears his property of leaves on West River Road in Waterville Friday. Weeks tackles the yard work every weekend until all of the leaves have shed the tree. He says chopping wood and raking his yard keeps him young and busy. Maynard Weeks, 74, clears his property of leaves on West River Road in Waterville Friday. Weeks tackles the yard work every weekend until all of the leaves have shed the tree. He says chopping wood and raking his yard keeps him young and busy.